The State University of New York is replacing its disparate library systems with technology from Ex Libris. 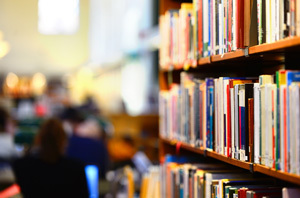 The company's Alma library services platform and Primo discovery and delivery solution will be implemented at 61 libraries across the university system. Goals for the rollout include increased efficiency, maximizing the use of library resources, providing cross-system analytics, and integration with other university services. In addition, students, faculty and staff will be able to use a consistent interface to access materials from all SUNY library collections. "The Alma and Primo solutions were the only products reviewed that met the high standards of our rigorous request for proposal," said Carey Hatch, interim senior associate provost for academic services at SUNY, in a statement. "Throughout the evaluation process, Ex Libris impressed us with the products' functionality as well as the company's thoughtful approach to implementation. As the largest comprehensive state university in the United States, we need a library services platform that meets the needs and capacities of both our smallest community college and our largest research institution. Alma and Primo are uniquely positioned to serve the spectrum of academic libraries that exist in the SUNY system."